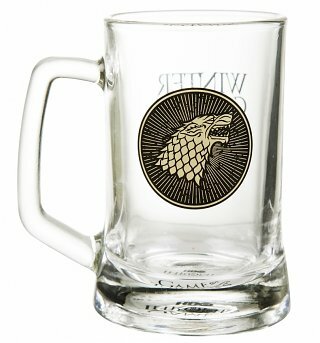 Customer Reviews of "Game Of Thrones House Stark Glass Stein"
This was purchased as a gift. It is absolutely loved! It is a absolutely fabulous idea and it doesn't fall short of the mark. Its a good solid drinking stein and with the awesomeness of Game of thrones added. Awesome! Sturdy and Stark-y! A great gift for my friend! Perfect gift. Can't wait to give it! Just what I was looking for.